The Big Boss has split, so it's time for some gorilla warfare as you and the other top lieutenants compete to be the Top Banana. Prove that you're the best of the bunch by scaling the tower, scrapping with your opponents, and stealing their coins! 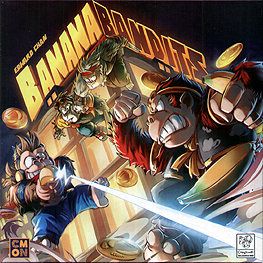 Be the first to claim the rooftop riches and you'll be the new boss of the Banana Bandits.